Rich The Kid draws inspiration from the unlikeliest of sources. In a parallel universe, it might have played out differently. 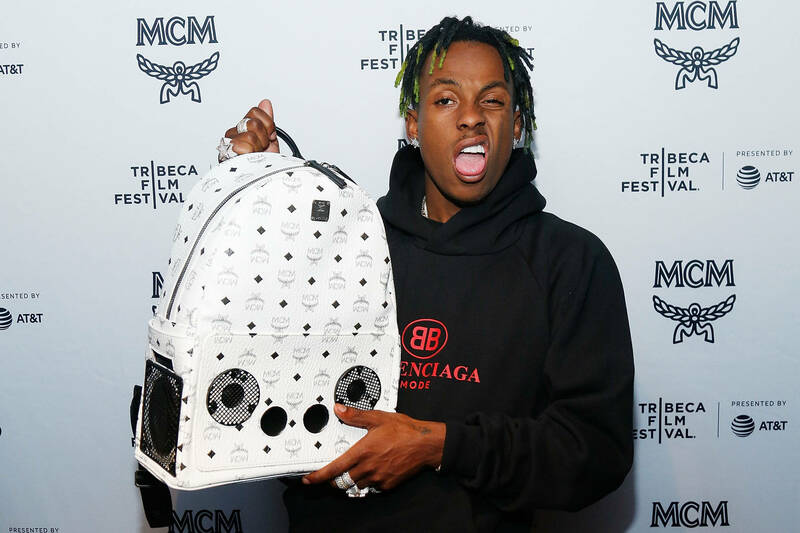 Were Rich The Kid never fired from Wendy's for being "too high," perhaps we'd never have received "New Freezer," "Plug Walk," "Splashin," or "4 Phones." An interesting character in the rap game, Rich has made an impression through a combination of bangers, label moves, and unfortunate run-ins with robber-types. Yet the man has continued plugging, and now stands on the verge of dropping off a new sequel in The World Is Yours 2. In honor of the upcoming project, Rich hit up the Cruz Show to talk shop, where he proceeded to share anecdotes about his former (albeit short-lived) life as a burger-flipper. "They fired me on the spot," reflects Rich. "The manager was giving me weed, so I don't know why he fired me. He flipped the script on me." Sometimes, it's always the plug you trust most. After touting his upcoming project as "album of the year," Rich The Kid takes a moment to shout out a variety of unlikely sources in his impromptu acceptance speech. "I'd want to thank Jim Carrey," he says. "He's one of my biggest fans. I want to thank Will Smith. I want to thank my Mama. I want to thank Elvis Presley. I want to thank J. Cruz, Cece, Power 106. I want to thank my girl, my kids. I also want to thank Eddie Murphy." Stay tuned for The World Is Yours 2, which features a return of the elusive Big Sean, dropping this Friday.